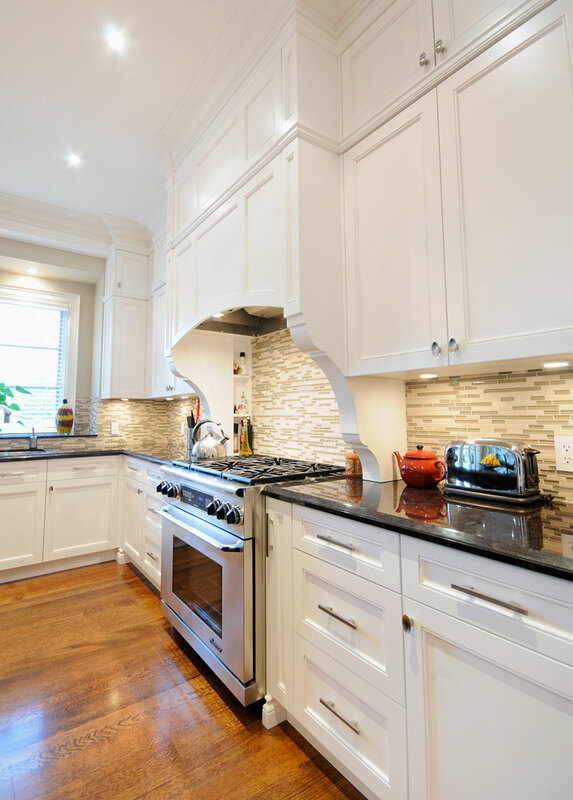 Custom transitional kitchen finished to 10′ ceilings. 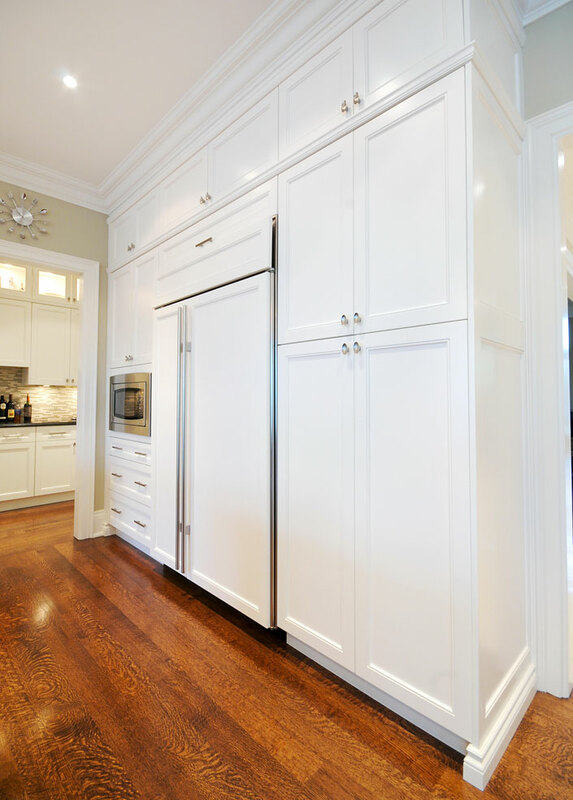 Cabinetry finished with a Cloud White Benjamin Moore match. 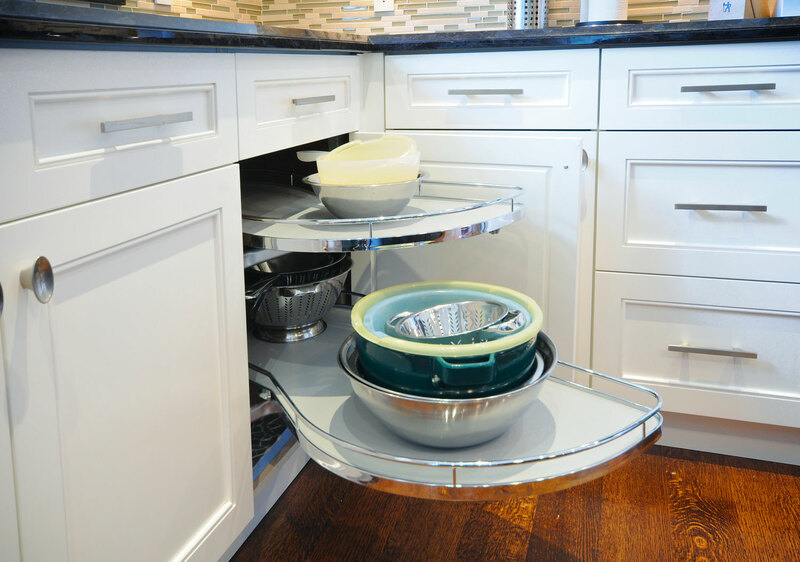 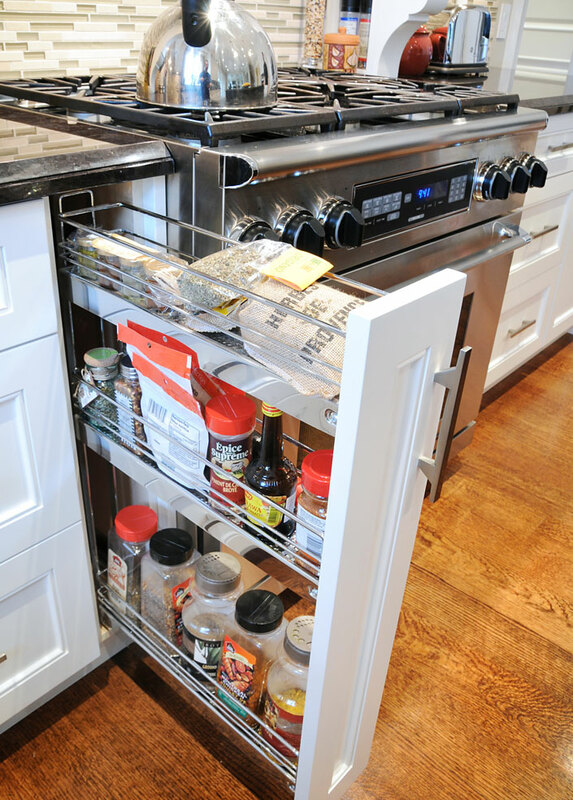 Corner base cabinet had a lemans corner pullout, the pantries also had roll-out shelves behind the doors. 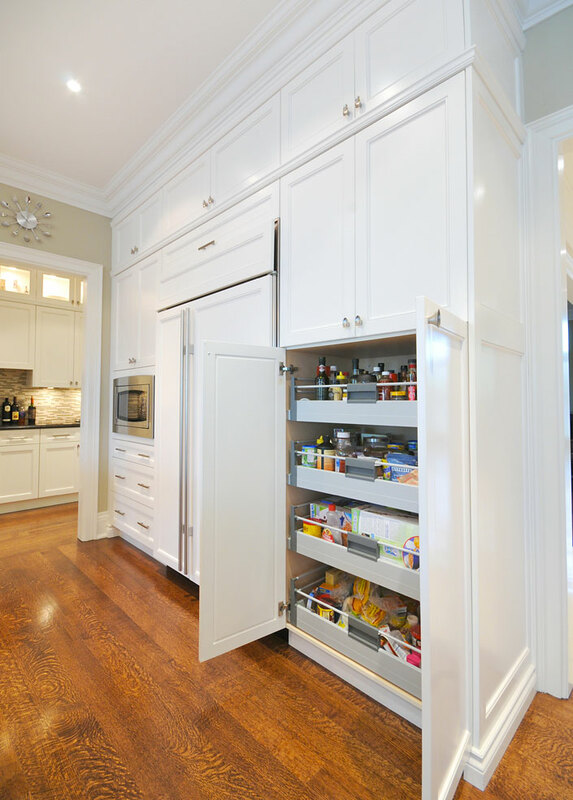 Walk-through pantry behind the stove wall had matching doors and finish.